TVMAX5000+ was a great low-cost TV transmitter, but it had a few drawbacks. This is why we decided to bring out a new model based on technology similar to our FM exciter boards! Our new 10W VHF TV transmitter is your ticket into the world of TV. With support for remote directional coupler and RF power limit so you can build 100W, 200W, 500W or stronger TV transmitter. Build your own TV studio and broadcast your own TV program! Transmit movies from your PC to your living room, re-transmit the TV program you've never been able to receive in your valley, run a college TV station, cover rural areas of Africa with TV signal from satellite stations, run a hotel cable system info pages or just have fun... this unit will keep you busy during the cold winter evenings and is sure to provide lots of fun for many months to come! 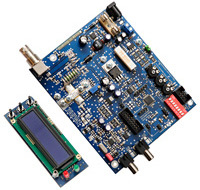 Unit is available as a populated and tested board or a rack-mounted ready-to-use transmitter. Rack mounted unit runs from 20-48V DC from mains power adapter. Optional stereo encoder board plugs into the main transmitter board to provide stereo sound and DSP processing for NTSC. Up to 10W of output power offers from several hundred meters up to about 10km of range depending on antenna type used on transmitting and receiving side. High-gain yagis on both sides might offer even more range in favorable conditions. Look HERE for all manuals, drivers and support. 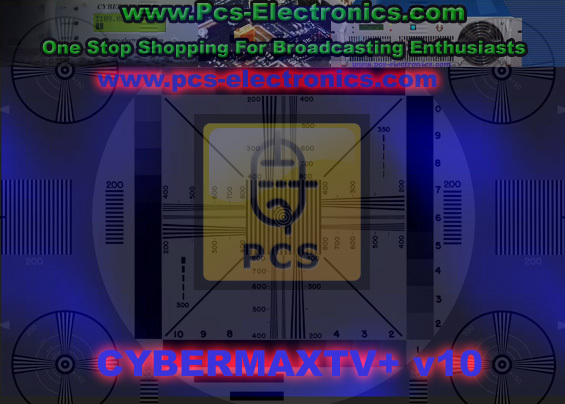 How is the TVMAX6010V+ different from the old and now obsolete TVMAX5010V? What is the DSP Stereo Encoder for USA/NTSC? - This add-on card enables stereo sound, it was designed for NTSC system, used in USA and most of South/North America. What is the external power/swr meter with DIGIAMP? - This add-on card enables building strong TV transmitters, it is placed after an amplifier and makes it possible to show output power and swr on the LCD display of the transmitter. The add-on card connects to the TVMAX6000 via simple 14-pin DIGIAMP flat cable. Coming soon. What is the USB IO board for? - This add-on card lets you connect this transmitter to the PC via standard USB cable (not included). 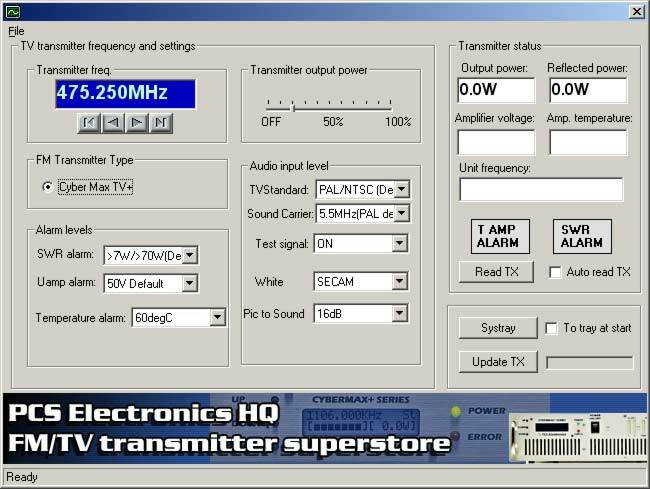 You can fully monitor transmitter via PC (power, frequency and other settings). 6-pin flat cable also connects BNC for Video and Audio inputs to TVMAX6000. - This add-on card lets you connect this transmitter to the PC via Ethernet network. You can control and monitor the status of your transmitter over Ethernet or Internet. Requires also USB IO board as it plugs into it. - This is a square piece of aluminum with predrilled holes for LCD display, buttons and LED diodes. It also has 4 holes in the corner so you can easily mount this to your case. This makes it much easier to mount the transmitter into a nice looking case (eliminates the hard work with the LCD). You can check all our TV antennas here. We have also provided a number of TV antennas with 5 meters of coaxial cable and installed connectors, they are all listed below. Of these antennas exterminator gives the most range, it only covers band III (175-225MHz). To purchase coaxial cable and connectors for this transmitter look HERE.